In October, our staff realized there was something amiss with the water pressure in the Cedar Center. An investigation revealed that the oldest well pump on the camp (the one that serves the Cedar Center and surrounding facilities) had given out. 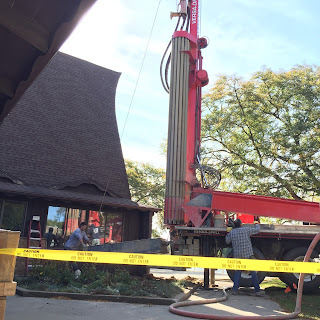 Failed attempts to remove and replace the 50 plus year old pump, along with new DEQ regulations, made it clear that we needed a new well. When all was said and done, the cost of this project would be $14,000 . . . an expense we had not anticipated. As news about this need spread, all but $400 of the funds necessary for the project were raised within a matter of days. We were once again in awe of how God provided through the faithful support of SBC friends. The new high production well is almost 200 feet deep and delivers over 50 gallons per minute of water at 50 pounds of pressure. 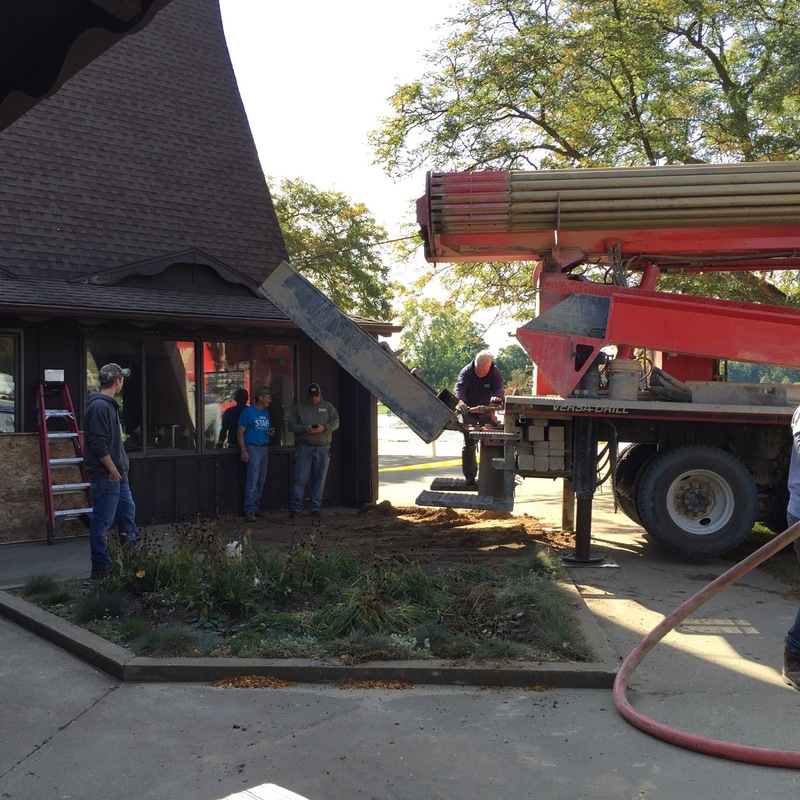 The new well was drilled in the flower bed on the lake side of the Cedar Center.